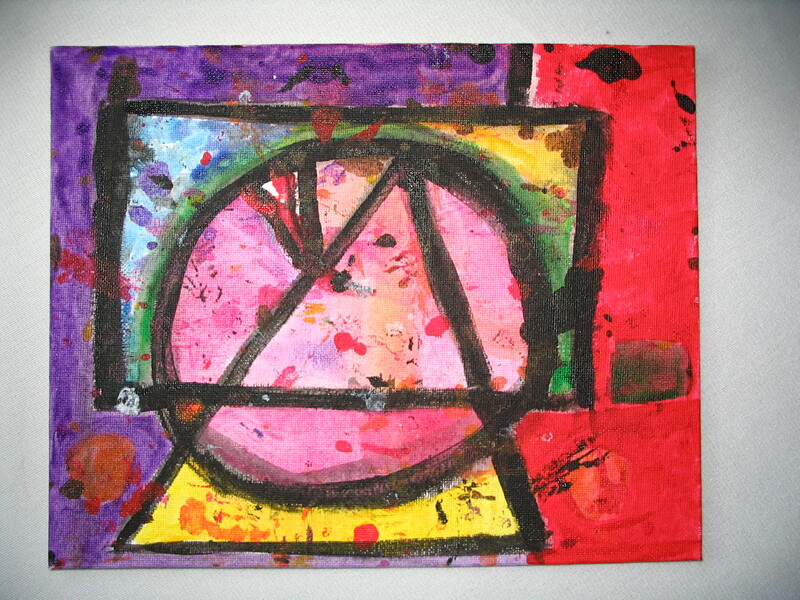 This is a painting I did on the weekend with my friends Sam and Karen. I’m back at it with the; circles, squares and triangles, but this time I’m working on my on canvas. The inspiration came from working with five-year old Sam and his knowledge for shapes and design. The spontaneous splashes of colour came from his mother. It was a creative and playful event that left me with a masterpiece that all should enjoy. I knew right away that I wanted a black liner, smooth and bold like the painting, yet it couldn’t match the width of the strong black lines in the painting. Framing should enhance the art. As you can see in the above gallery the choices can be endless. 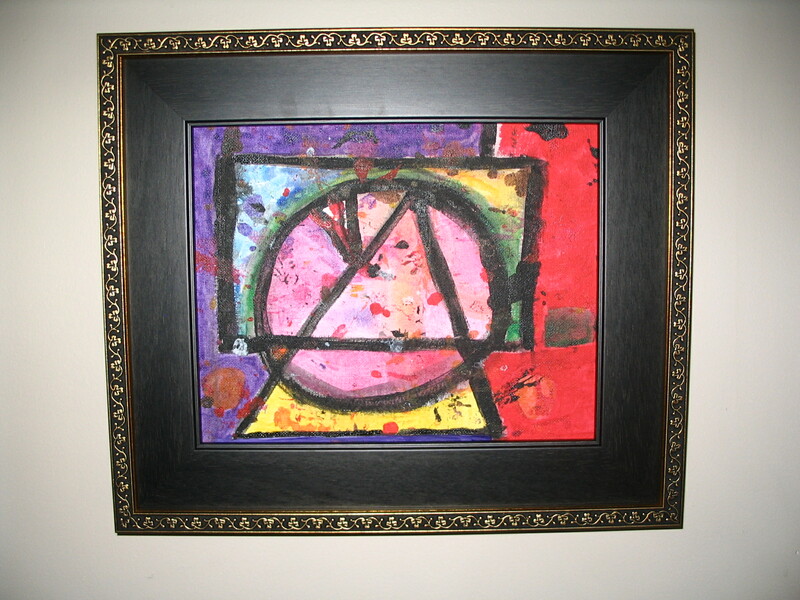 It is very common to end up framing the art with one of your first choices, as I did here. 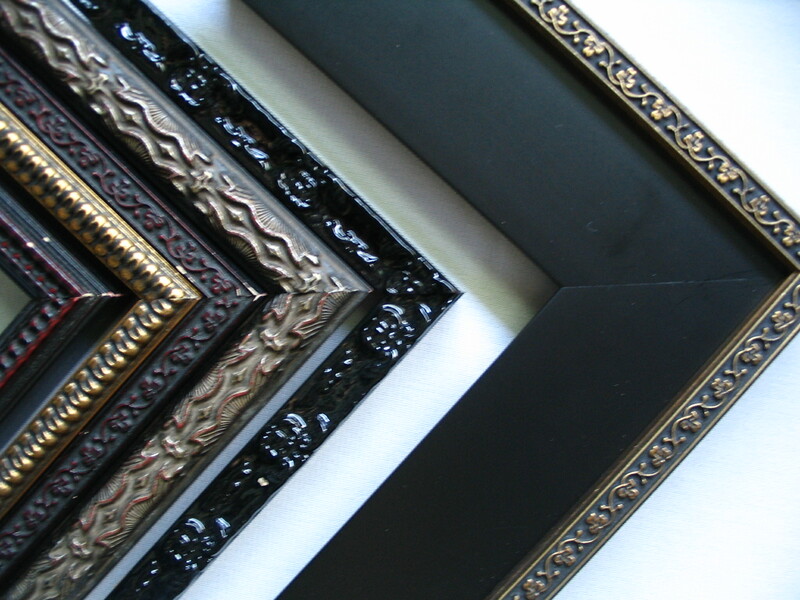 Using a picture frame on top of another frame is referred to as stacking, and often times people use the small ornate frames as fillets which are used to accent the opening of the mat. Not me 🙂 (this time). This lovely little 8×10 canvas is now professionally framed, increasing the value of the art immensely. The art supplies cost approximately $5. at the dollar store. The time it took to create this with friends that I hadn’t seen in a year, missing Christmas and Birthday celebrations and the large amount of laughter and conversation that went along with making this was priceless. 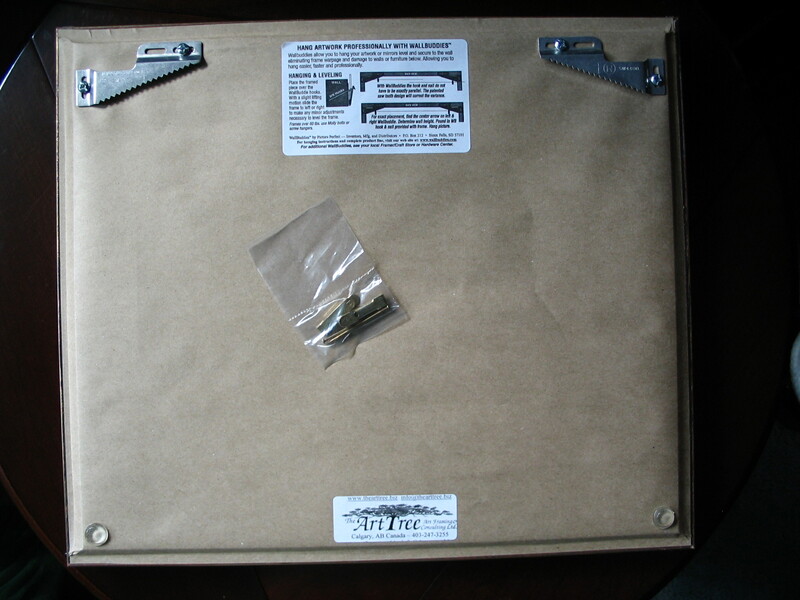 The custom picture framing came to a total of $120.00. I am hanging this painting in a high traffic area and need it to be secure to the wall. I use Wall Buddies (small), they are angled saw tooth hangers that allow a little bit of play in measurements and the frame hangs flush with the wall. They come with special nails and hooks. Then remember bump on pads go on the bottom corners of the frame to prevent scratching the wall. Labels identify the builder and the how to hanging system. You’ll need a hammer and a level to hang the frame. ANY IDEAS FOR A NAME OR TITLE? 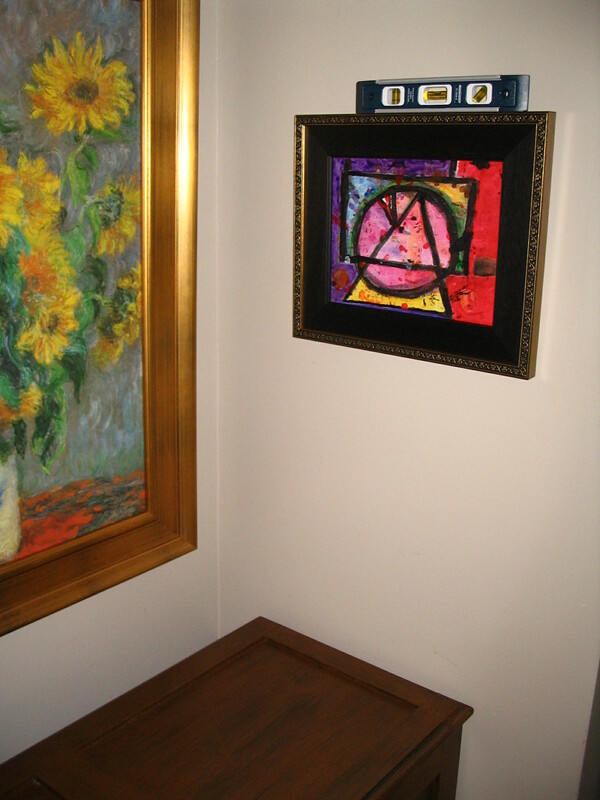 This entry was posted in Picture Frame Hardware, Picture Framing Design and tagged Abstract art, black frame, stack moulding. Bookmark the permalink.